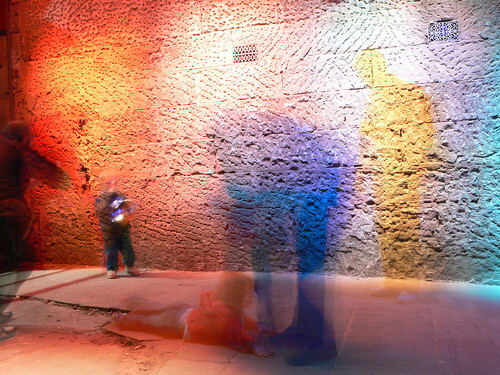 Today The Rocks area of Sydney is a popular spot for tourists, known for it’s art, heritage sandstone buildings, harbour views, vibrant night markets, places to eat, drink and high end retail outlets. How things change. 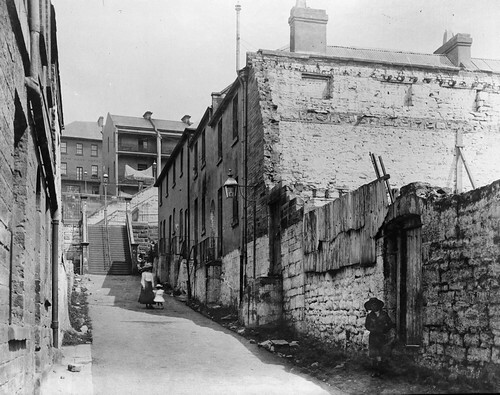 Go back to the early 20th century and The Rocks was a poor, neglected area populated by many working class people. Thankfully some of The Rocks was saved by “Green Bans”. 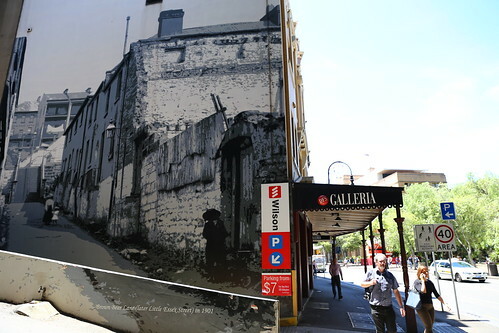 “From November 1971 until 1975, the NSWBLF [Builders Labourers Federation] green ban saved the oldest buildings in Australia and attractive foreshore parks from demolition to make way for glass and concrete office blocks. 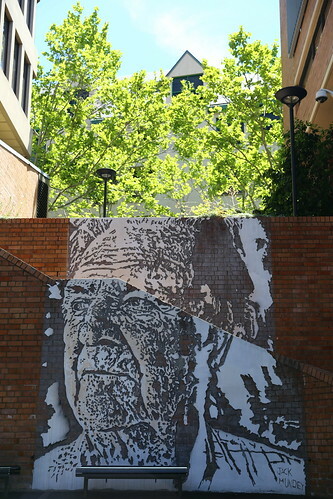 Reminders of this past history can be still be found, such as this artwork of NSWBLF Leader Jack Mundey’s face at Nurse’s Walk, The Rocks. 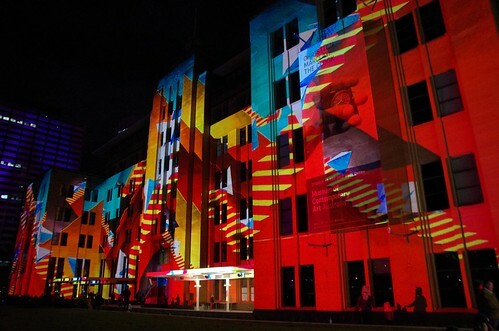 These days The Rocks is home to quirky exhibitions at The Museum of Contemporary Art and is one of the key locations for the annual winter Vivid Sydney festival. 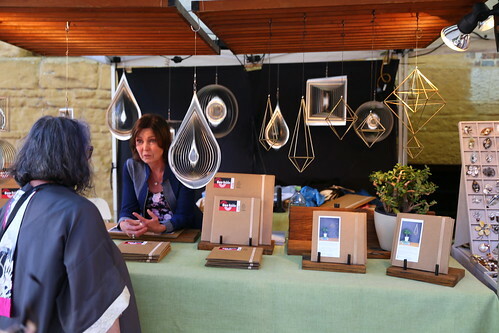 The Rocks is largely populated by little local artisan designer shops and market stalls, unlike other parts of the Sydney Central Business District (CBD) where you’ll mostly find the same retail brands that dominate large cities across the world. 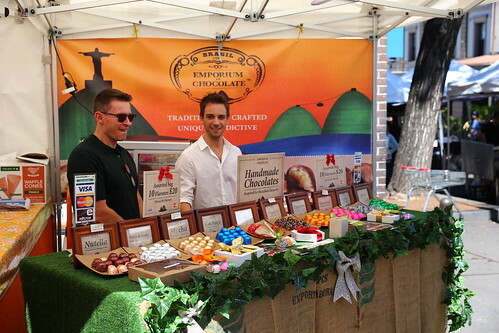 Food stalls in The Rocks are somewhat more sophisticated than the sausage roll and cheap meat pies associated with Australia. 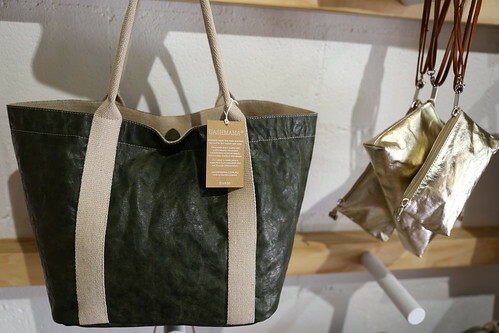 I was quite impressed with an artisan designer shop called Uashmama which sold innovative handbags, clutches, tote bags etc made from specially treated paper that looks like leather but is so much lighter and washes easily. If you’re visiting Sydney during Summer and are interested in seeing the famous New Year’s Eve Fireworks, I highly recommend booking a private room at the Sydney Harbour YHA with their New Years Eve package so you get roof access to see the fireworks display. 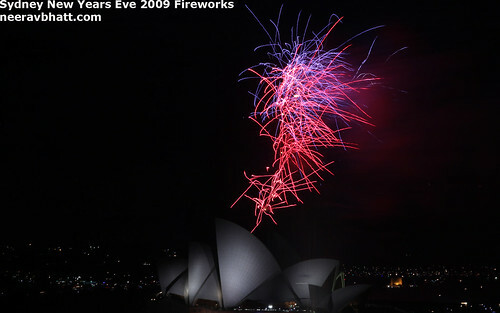 I was able to experience this amazing sight in 2009 when I took the official NYE rooftop photos for YHA Marketing. For a more high end accommodation experience try Holiday Inn (Old Sydney) which also has excellent rooftop views including a pool. 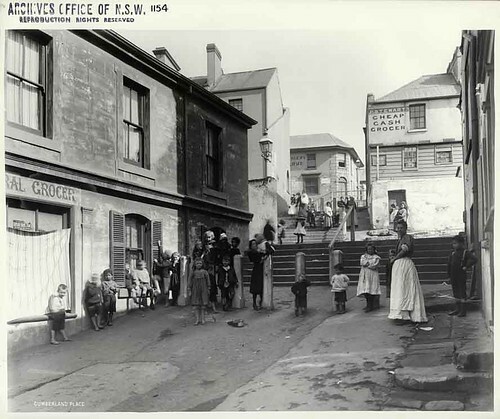 Find out more about The Rocks history, markets and stores at the official website.